Step out of your familiar food scene and dive into a delicious international affair. Diverse foods from around the world, from a myriad of nations await your eager pallet. 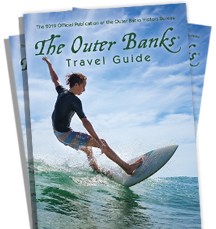 You’ll find a pleasing assortment of restaurants speckled along the coastal community of the Outer Banks that will open your eyes to the world around you. Come hungry and bring your taste buds for an adventure you will always remember.